Nothing turns a vacation or a road trip sour quicker than a car crash. Going from having the time of your life to being in an accident can be incredibly jarring. And it’s even worse when you aren’t in your own state. Do you need to call the police? Where should you go? And what do you do about your car? If you’re involved in an out-of-town crash, here’s what you need to do. You shouldn’t do anything differently at an out-of-state crash site then you would at home. That means making sure that everyone at the site is okay and that you get both cars and everyone involved off the road as quickly as possible. Take pictures of both cars and get statements from everyone involved if you can. You should also swap details if another driver was involved in the accident or if there were passersby that saw what happened. Just like with an accident in your hometown, you should contact your insurer as soon as possible. The good news is that most insurers will cover accidents that happen anywhere in the contiguous 48 states. 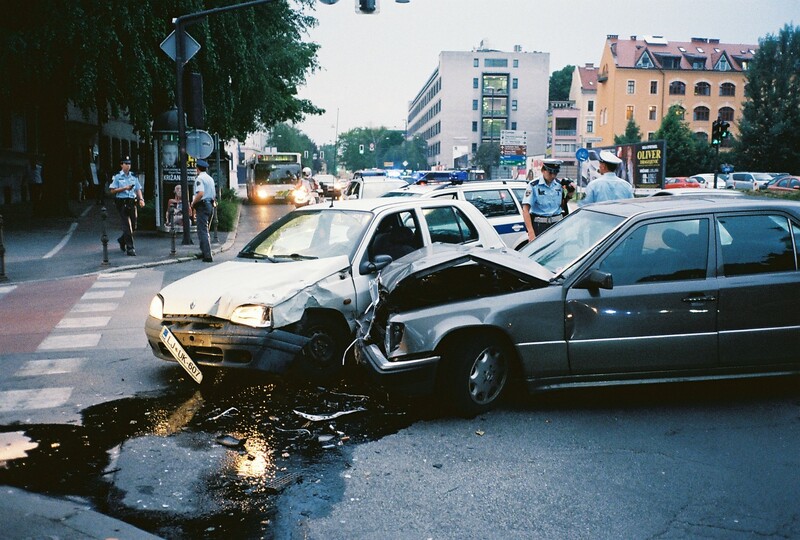 If the other driver was at fault, you should also contact their insurer and start the claims process with them. If you can’t get home, you may want to consider visiting a nearby auto body repair shop. Most auto body repair shops and collision centers will take out-of-state clients—we certainly do at Chaney’s Collision Centers. Make sure that you clear it with your insurer first, however. Or, if the repairs are small, you can pay for the repairs upfront and then claim back from the insurer at a later date. If you can drive home safely, you may prefer to do so. That’s because you can visit an auto body repair shop that you can trust. It can be difficult to find a reliable collision repair center in another state, so it makes sense to head back to someone that you trust already if you can. If you are involved in a crash in Arizona and don’t live here, or if you are an Arizona citizen and have been involved in a crash in Nevada, New Mexico, California or anywhere else, we can help. Get in touch today for a fast quote by calling us at (623) 915-2886 or by using our online contact form.